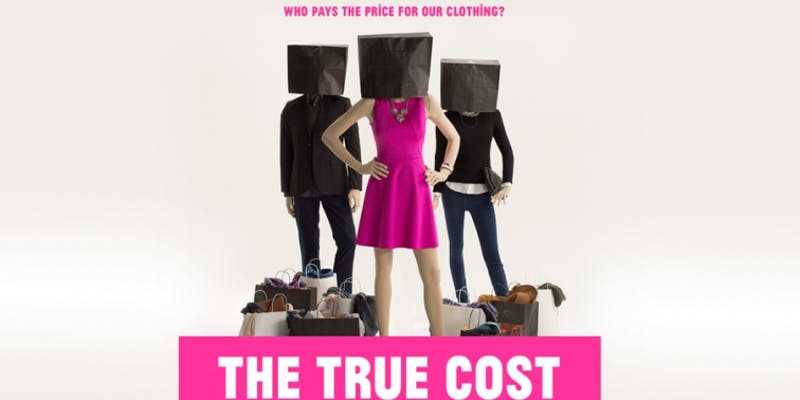 To kick off Fashion Revolution Week join us for a screening of The True Cost - A groundbreaking documentary film that pulls back the curtain on the untold story and asks us to consider, who really pays the price for our clothing? The film will be followed by a panel discussion of Chicago entrepreneurs focusing on the impact of sustainable sourcing, ethical labor practices and reducing waste. To kick off Fashion Revolution Week join us for a screening of The True Cost - A groundbreaking documentary film that pulls back the curtain on the untold story and asks us to consider, who really pays the price for our clothing? The film will be followed by a panel discussion of Chicago entrepreneurs focusing on the impact of sustainable sourcing, ethical labor practices and reducing waste. From lean manufacturing to capsule wardrobes, we'll cover a variety of topics that will help impact the fashion industry in a positive way.